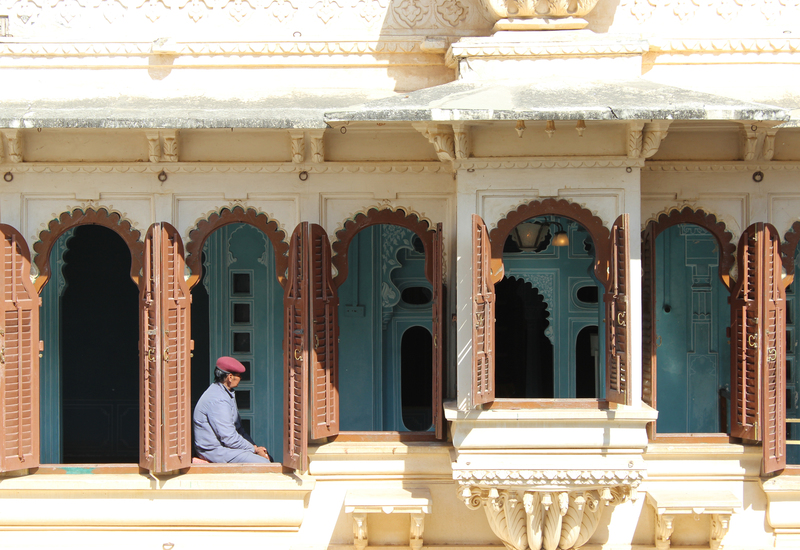 A guard at the palace in Udaipur, India takes a break. With a choice of so many windows, I wonder why he chose that one. More windows by others here. to be photogenic for you.